● Join the Rewards Club for a free piece of chocolate every month, a free gift with minimum purchase, free shipping on one order, and exclusive offers every month. ● Promotional coupon codes are issued a few times per year, and most frequently offer free shipping for larger orders, or discounts of $10 and up on orders over a certain threshold, generally at least $50. ● Shop the Special Values section to save up to 20% on your order. ● Discounts of up to 20% are offered on volume orders. ● Browse during the holiday season, Mother’s Day, and Father’s Day for time-sensitive sales. Godiva is a well known chocolate treat company. 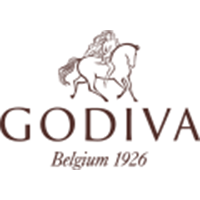 The website offers a wide range of Godiva goods that can be accessed by clicking on the links, graphics or tabs. If a user has a particular product in mind they can use the search box. Free standard shipping is offered with the purchase of 2 items. Shoppers can click on the sweet deals graphic to access special sale items. There is a banner at the top of the homepage that offers special coupon code discounts. There is a rewards club that can be accessed by clicking on the rewards link at the bottom of the home page. For most up to date offers check out Godiva on Facebook and Twitter or contact Godiva Support for any questions.